Hello, thanks for popping across to my blog to have a look and a read. It's very much appreciated. This card I have blogging has been made with stamps that came free with the latest Crafters Inspiration magazine. It's the first time I have bought this magazine but it's not often you see a magazine with £50 of freebies and freebies that are actually useful. I dug out my distress inks, Promarkers and masking tape and had fun. The white card stock I have used to stamp and colour onto is one of Stix2 A5 card blank. I cut one in half to the size I needed and matted and layered on yellow and black textured card by Bazzill Basics. It's a vibrant but fresh card to help lift our moods as we come into the Spring & Summer months. 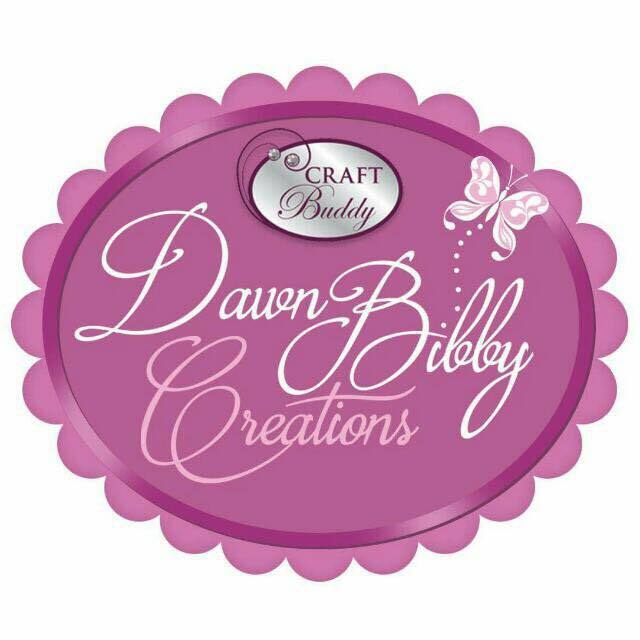 Butterfly & sentiment stamp free with "Crafters Inspiration" magazine issue 9 Spring - Crafters Companion. 1- Before matting and layering i placed strips of masking tapes at angles across the White card base and using my blending tools and distress ink I coloured in the strips. 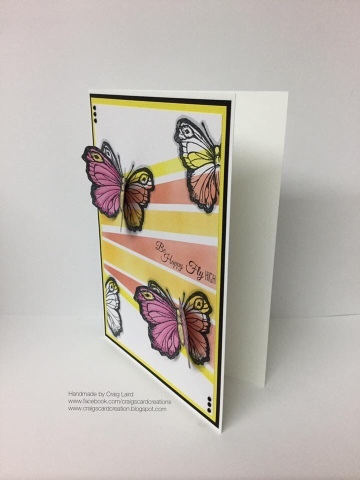 2- I stamped 2 full butterflies across the coloured strips in each corner of the card stock using tuxedo black ink pad. I then stamped another 2 butterflies but I stamped them off the page. I have also taken 2 of the free sentiments and stamped them along one of the coloured lines. 3- Then using a grey pen in this case Ice Grey 2 Promarker I have drawn round each of the stamped butterflies. This helps to give an extra bit of dimension and interest. 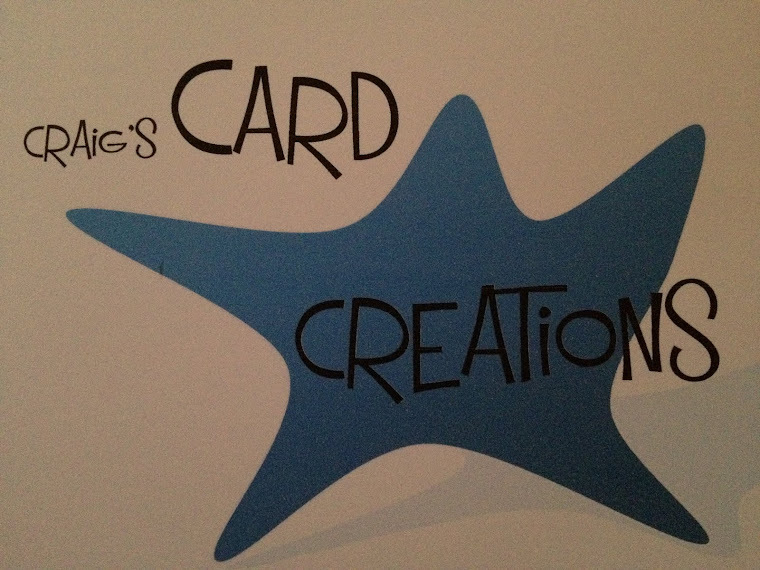 4- Now Matt and layer onto your yellow and black card stock before attaching to your card base. 5- Taken another piece of white card stock, I stamped out 2 butterflies and coloured them in using Promarkers - you can of course colour in with any of your chosen mediums. 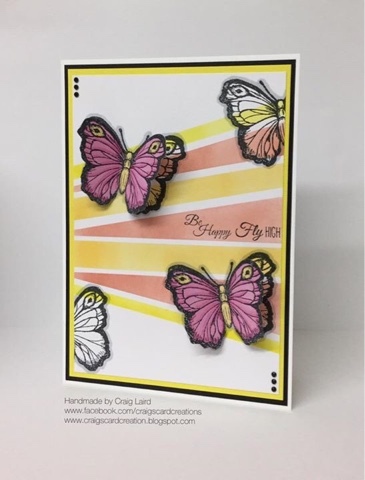 6- Add a bit of wet glue to the back of the butterflies body and place directly on top of the 2 full stamped butterflies. Once dried, pull out the butterflies wings up to give dimension. 7- To finish off, add 3 black gems in each corner. "True Love" lasts forever 8x8 Card.